After visiting a poor family, Beth develops scarlet fever in Louisa May Alcott’s novel. 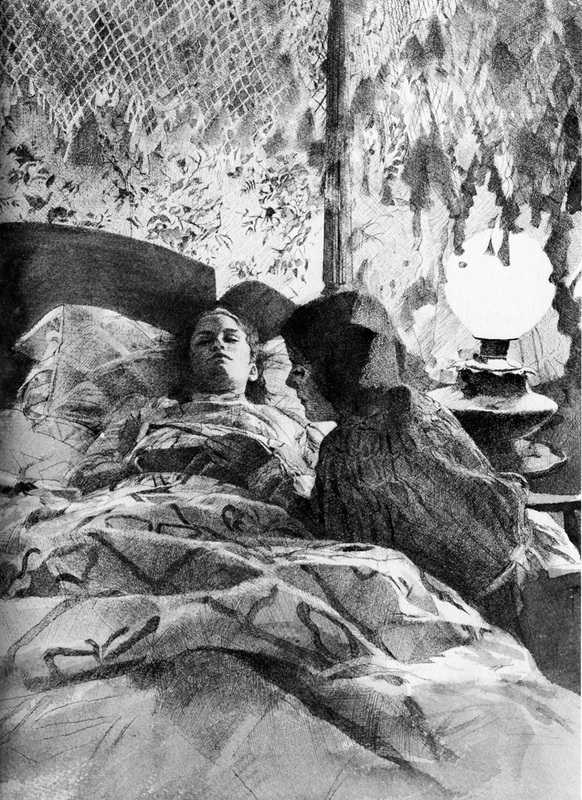 This illustration shows her sister Jo at her bedside. Jo, who nurses Beth during her illness, now knows her beloved sister will soon die.